Last week we presented the first part of our October 27th event, Doomsday Live, and this week brings you part two. 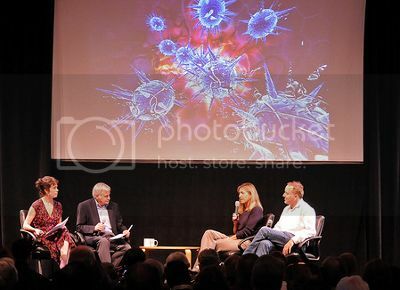 Many thanks to our guests, Kirsten Gilardi and Ken Caldeira (pictured above at the event with Seth and Molly), as well as Luke Muehlhauser and Bradley Voytek (pictured below), not to mention the Bay Area Science Festival, the Computer History Museum, the attendees, and our kickstarter supporters for helping make this possible. This was awesome, as expected. I only hope armageddon can live up to events like this!